Compact, multipurpose, microprocessor-based weight controller. Perfect for use in process control applications such as: batching, mixing, filling/dispensing, blending, check weighing, force measurement and many more. Transmit data via analog or common PLC communications such as Allen Bradley Remote I/O or Profibus. 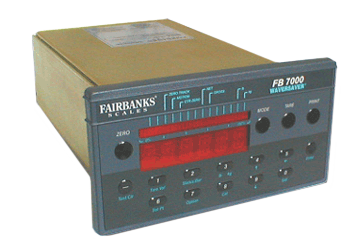 The FB 7000 model also has WaveSaver® filtering technology and a secure memory module.